Farm Ondekaremba is founded in 1900 by German emigrant Erich Rust in the colony of German South West Africa. 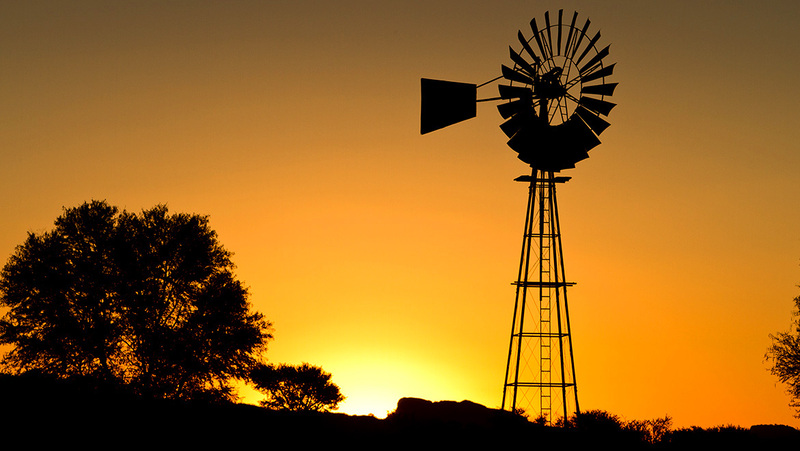 Rust buys the 16,600 ha (166 km²) farm at a price of 2.60 Goldmark per hectare. Ondekaremba means "place of good grazing land" in the language of the Herero. It is not an easy beginning. By 1903 Erich Rust has managed to build a house out of self-quarried quartzite building blocks. Water is scarce, which is a big problem. A big water reservoir for cattle is constructed on the bank of the dry Seeis riverbed. Several attempts to drill for water fail. 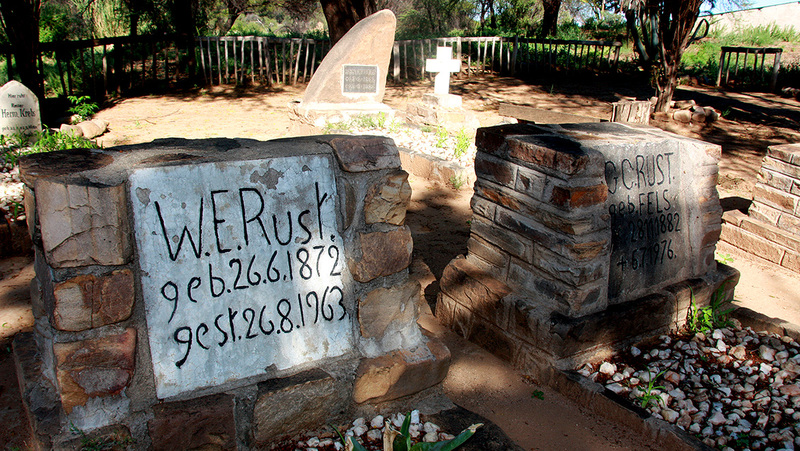 During the war of the Herero and Nama against the Germans 1904-1908 the Rust family loses the greater part of their livestock. During an attack by the Herero over Easter 1905 two Schutztruppe soldiers and three farm labourers die at Ondekaremba. Farming only slowly gains momentum in the years after the war. Erich Rust keeps cattle and goats, later Karakul sheep. However, attempts to cultivate maize and other vegetables are unsuccessful. The railway line from Windhoek to Ondekaremba is constructed in 1922. The Rust family manages a well-frequented shop, where farmers from the east of the country do purchases while their cattle is loaded for transport. But business declines with the further development of the railway line to Gobabis in 1936. In the same year the farm is divided and handed over to two of Rust's sons. Ondekaremba thus shrinks to the 8,000 ha (80 km²) area north of the railway line. The other part is named Sonnleiten after the sunny slope of the Bismarck Mountains in the south. Today Sonnleiten houses a farm residence for pensioners from Namibia and germanophone Europe. The oldest son Joachim Rust solves the water problem – by successfully drilling for water and building small dams. In 1961 the government takes 500 ha (5 km²) – for the construction of the International Airport. In 1986 Joachim’s son Immo and his wife Ute take over the farm. They concentrate on cattle farming. Four years after Namibia’s independence in 1990, when more and more international tourists visit the country, they register Ondekaremba as a guest farm. Located only 7 km from the airport, the lodgings are the ideal point of arrival or departure for a holiday in Namibia. A small campsite caters for lovers of the outdoors. 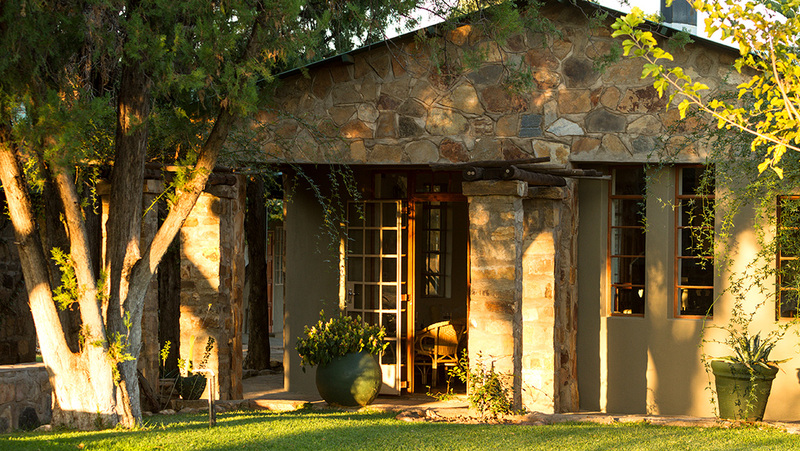 When Odekaremba changes owners in 2011, it partners with Waterberg Wilderness private nature reserve. The guest farm becomes a lodge. In 2015 value-for-money self-catering accommodation is added with the Ondekaremba Econo Lodge. In 2016 most of the farmland is sold off and a third partner, Ghaub (nature reserve and farm) joins the party. The heart of Ondekaremba remains intact: the natural paradise of the dry riverbed and bush savannah with the lodge, Ondekaremba Econo Lodge and the campsite.